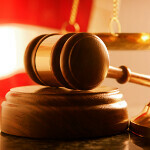 The next trial between Samsung and Apple, to be held once again in front of Judge Lucy Koh, is expected to begin in March 2014. In the meantime, Apple would like to get a sales ban on the Samsung GALAXY Nexus. This isn't news in the sense that Apple had previously asked for a sales ban on the stock Android phone and while Judge Koh initially sided with Apple, the U.S. Court of Appeals in October said that Judge Koh had abused her discretion and overturned her ruling. As we pointed out back in October, the Samsung GALAXY Nexus wasn't even part of the first trial that ended with a $1.05 billion verdict in Apple's favor. The patent allegedly infringed on by the handset was the '604 "Siri" patent relating to universal search. While a three member panel had turned down Apple's request for a ban, Apple would like all 9 members of the court to sit on the panel when making the decision, which is called an en banc review. On Friday, Samsung filed with the court saying that an en banc review is not necessary because Apple cannot show a connection between the allegedly infringed search technology and Apple iPhone sales to justify a ban on the Samsung GALAXY Nexus. If Samsung's alleged infringement of the patent doesn't harm sales of the Apple iPhone-as Sammy claims-Apple cannot request the injunction. Additionally, Samsung pointed out the original Federal Circuit decision against Apple does not conflict with any Supreme Court ruling. In December, when Judge Koh rejected Apple's request for sales bans on other Samsung devices during the post-trial hearings, she cited the October decision by the Federal Circuit's panel not to allow a sales ban on the Samsung GALAXY Nexus. No this s**t again. I just want it to end. I agree with wanting it to just end, but look at how it's affecting apple. They are losing market share and there stock is dropping daily. The only people they're hurting is themselves, so let em continue with their bullsh*t.
It is ending. Apple is just in denial. I doubt Apple will get their hearing request granted. That in-and-of-itself should send a pretty strong hint to Apple. The question is whether they get the hint. Apple the only thing you should be worried about is whether Samsung will be the top cell phone seller all 4 quarters in 2013 and not just quarter 4 like last year. It's pretty much a sad conclusion with Apple. Piss on apple Samsung rules this space. Samsung was #1 all year. Samsung will continue to rule the smartphone wars against Apple. They have the momentum and their products keep getting better and better every upgrade. 2013 will be a CRUCIAL year for Apple in the smartphone sector. To stay relevant they need to release a MASSIVE iOS improvement update that at least has to be on par with what is out now. I would not improve a damn thing about the exterior of the iPhone as it is a thing of beauty but the software is so damn boring and restrictive!!! My american side of me wants to stick up for Apple, however, I am not happy with how Apple carries on their business. They think there consumers are idiots! They dont give them enough credit. Unfortunately that worked for a little while but now that the consumer is getting smarter about smartphones and what entails a decent smartphone device its begining to hurt Apple. Hell even my almost 60 year old parents think Apple is lame and are now leaning towards Android when it comes to smartphones. Tablets is a different story...they love their iPad! No doubt about it Apple rules the tablet sector. Had bout enough with this b.s. law suit. 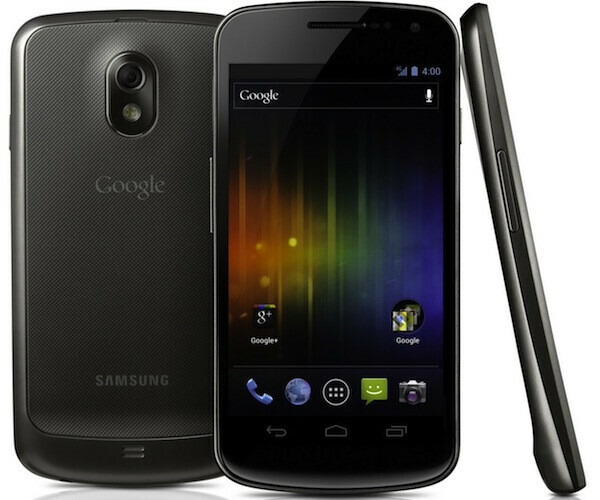 The stupid judge should should let samsung continue selling the galaxy nexus it was google popular nexus phone. She needs to think bout the consumers not the money shes recieved by u know who. First of all my dude the Galaxy Nexus is still one hella phone. There are only a couple items that I would change on that phone: Camera bump to 8MP and improved battery life. Other than that it is a solid well rounded device period. Secondly, it isnt because this phone is hurting Apple, the Galaxy Nexus was never a threat to Apple, its all about driving it deeper to Samsung. This 604 Siri patent founded or not is all Apple has on this device so they are going to use it and push it until they get the results they want. It would be another notch on Apples belt against Samsung. Lets face it these two companies hate each other, which drives them to create better products. So the in the end we the consumer are the winners of all these amazing devices but the "patent wars" ruins it for everyone!!! arrrghhhhh!!! I hate apple for their bulls**t lawsuits. Yeh!, apple spend more time researching new tech and stop recycling old 2009 tech and claim others hurt your sales with bulls**t rectangle round patent. You ask for $50 per infringing Samsung unit sold amounting to billons of dollars but aren't willing to pay more than $1 dollar for other's patents. Does Thermonuclear mean zero in integrity as well?? Apple should be concentrating how they can beat samsung, cause they are being left behind will all the New Technology coming out, This just Fuels Samsung to get stronger and better, Apple is going to loose this fight. They could make an entire series out of all te courtroom lawsuit drama. Myx I like apple too, but dude this has gotten ridiculous. It's like apples trying to stymie the competition, cuz they can't out innovate them. I think they're losing their creative edge. Thats exactly what they're doing. Its their M.O. Has been since they stole the GUI from Xerox, which they then tried to sue MS for also stealing it. When was the last time you ever posted a positive post....? Apple chill out, you're losing your appeal. Samsung is starting to take over, cuz they simply innovate while u litigate. Your OS while sold is stagnant, and outdated, the device is too small, and restrictive, and the battery life is only adequate...and this is coming from an owner of your products (ip5/ipad3). I recently re acquired the note 2, and all I can say is WOWWWWWWWW!!!! N13 + n12 +1 one from me! Why can't they all just innovate instead of litigating, its bad for us, the public! Because they know, from experience (Mac vs. PC) that they can't win. One walled garden cannot keep up with multiple open companies all trying to out do eachother, innovation wise. If Google/samsung can't prove this a standard essential patent (which I feel they won't be able to do) android is absolutely screwed. Not only would a decision in favour of Apple see a ban on the Nexus 4, it could well force google to pull Android 4.1/4.2 altogether, due mainly to the fact that google Now is a system wide implementation. I'll have my popcorn ready. If you bother to read its apple being denied an injunction. So they are kicking a fuss and appealing to every court that would listen. Its apple running out of option while losing market share. The last thing they could do now is to get on the innovation train and speed ahead to stay relevant. The problem for Apple is their 2007 UI. A re-design of the UI will take at least 2 years. As long as Steve was alive, there was no changing the UI. With Steve gone, Forstall was blocking changing the UI. If Forstall hadn't biffed iMaps, he would still be blocking a re-design of the iOS UI. So now what is Apple to do when faced with at least 22 months of declining market share until they can get a UI re-design completed? How about sue competitors for patent infringement? Patent litigation is bidnes by other means. Either you don't understand the way patent law works in the U.S., or you are trolling (or both). To be granted a sales injunction, Apple must show that they lost sales solely due to the infringing function and that monetary damages would not be sufficient to compensate them for the lost sales. As regards the present application for a sales injunction, this is Apple's third attempt - the first was with Judge Koh, the second was with the 3-judge panel at the appellate level (Apple lost with Judge Koh). Now after losing with the 3-judge panel, Apple is asking for an audience in front of 9 judges. Nothing has changed about the merits of Apple's case - they haven't been able to prove they lost sales solely as a result of Sammy's implementation of universal search in ICS on the Nexus phone. They couldn't convince Judge Koh. They couldn't convince even one judge on the 3-judge appellate panel. A message is trying to be sent to Apple. They are just not getting the hint. So anybody that dare put forward an argument against android is "trolling" in your books ??? I don't believe Apple will be granted their injunction, simply because the ramifications and/or implications would be far too great. What I do think will happen is a preliminary hearing that may lead to a further trial. Your assertion that "android is absolutely screwed." qualifies you for consideration of the trolling award. Ramifications and/or implications being far too great don't factor into the decision to grant an injunction. Back in another lifetime, a company known as Research in Motion was looking at an injunction after losing on appeal on a patent infringement lawsuit. RIM tried to play the card about how the U.S. Government would be shut down if BlackBerry service in the U.S. were to be blocked with an injunction. The court was having nothing to do with RIM's argument. On the eve of the shutdown, RIM wrote a check for $600 million. At that time, RIM's annual Gross Revenues were around $1.2 Billion USD. Apple won't be granted a sales ban because they haven't met the requirements to be granted a ban, not because of any ramifications of a ban.